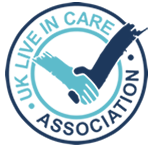 Palliative Care | High quality end of life care in your own home. At Loving Angels Care, we understand the importance of being with the people you care about most and in the place you feel most comfortable in the final stages of your life. We help individuals live the rest of their lives as fully as possible, taking into account personal tastes as well as medical needs. People who are nearing the end of their lives are supported to make their own decisions and their care is coordinated so they can spend time how they want and where they want to, with personal nursing, advice on pain control and practical and emotional support.